What started out as a compassionate goal for saving the environment has evolved into the pursuit for innovation and design in recycled plastic outdoor furniture. In 1994, Jamie Bailey, co-owner and co-founder of C.R. Plastic Products Inc. started manufacturing recycled plastic furniture to divert used plastic away from landfills and oceans. His goal was to make a product that would provide the look and warmth of wood, without the shortcomings associated with maintaining wood furniture. The proprietary extrusion process discovered, improved and customized by Jamie, produces a unique plastic lumber that won’t splint or crack and withstands all weather conditions. This process creates a superior fit and finish, including a beautiful texted-look similar to the grain of wood, and smooth rounded edges for enhanced comfort. Each piece of lumber has an added automotive-grade UV stabilizer and is guaranteed to maintain its beautiful colour for years, without the need for staining or painting. 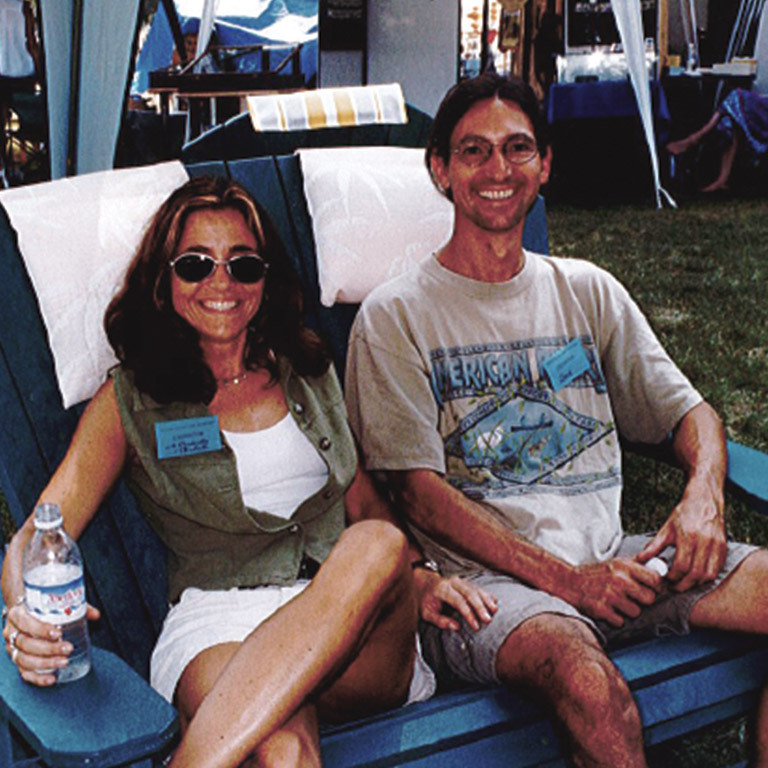 Since perfecting the extrusion process and the comfort and design of its flagship Adirondack chair, C.R. Plastic Products has expanded its furniture lines into dining, loungers, deep seating and accessories. The company is now an industry leader in the North American outdoor recycled plastic furniture market and is expanding into international marketplaces. As we look to the future, the company is always focused on maintaining the synergy between the environment and outdoor furniture with the core focus on developing new and innovative ways to create sustainable, eco-friendly, beautiful outdoor furniture. Dan Mathieson, Mayor of Stratford, Ontario with Jamie Bailey and Trudie Wiseman.